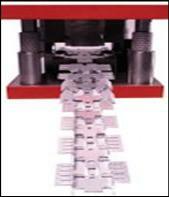 150-Ton Version Press (February 2014) | Accu-Fab, Inc. 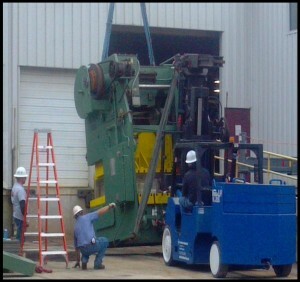 In December, we added a 150-ton Verson Gap-Frame Press to our facility. 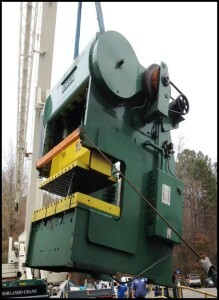 With a bed size measuring 84” x 36”, this press stands over 12’ tall and weighs in at 52,000 pounds. As a valuable addition to Accu-Fab’s extensive soft tool fabrication capabilities, the new press enhances Accu-Fab’s ability to respond to customers’ hard-tool stamping needs quickly.